Junglists throw hand signs all over the place. There are many reasons for this phenomenon. 1) The music is loud. 2) Things must be expressed. 3) Words are not enough. 4) YOU heard the mix first! (and everyone should know this). 5) The bass demands that you articulate your feelings with your entire body. 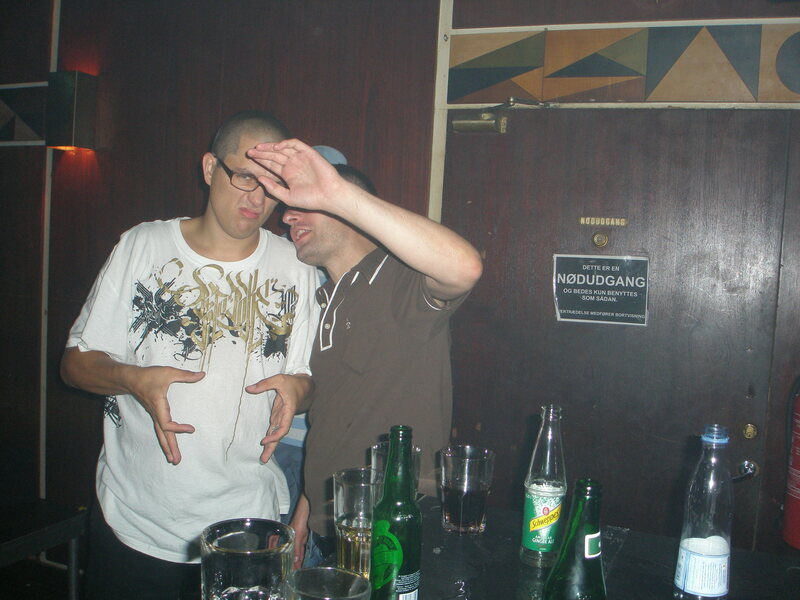 6) You wanna look cool in photos. 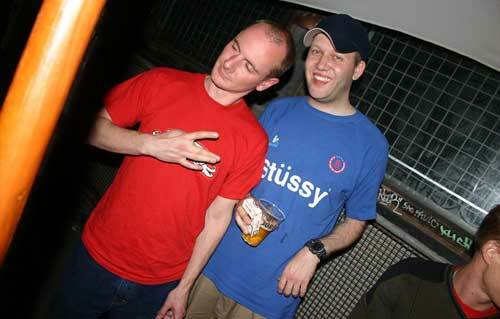 Here is a magnificent collection of junglist hand signs. I might be going for the ‘looking cool’ thing here. Lewis chooses the more discreet approach. 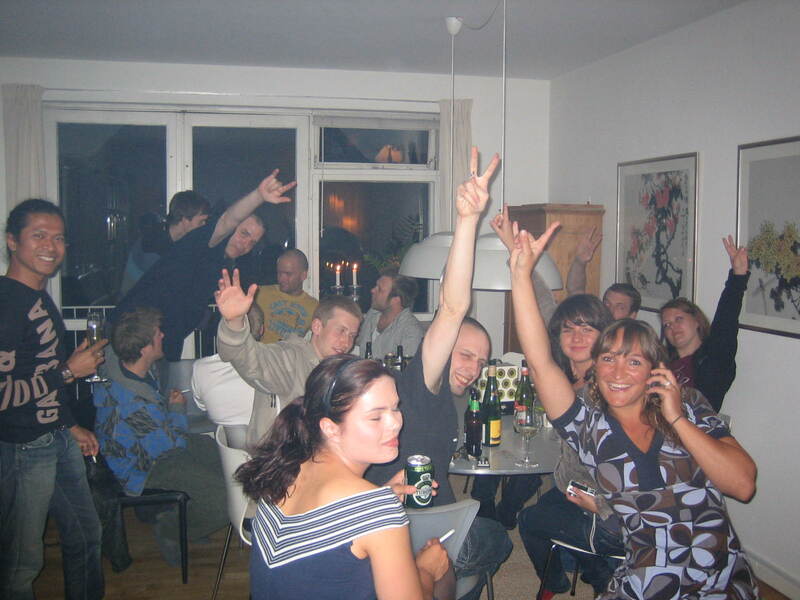 This is Dollar$’ Campingvogn Party in 2007. The most complicated hand sign of the series, thrown by Dr. Disk. Very difficult next level origami style stuff. Is it a bird? 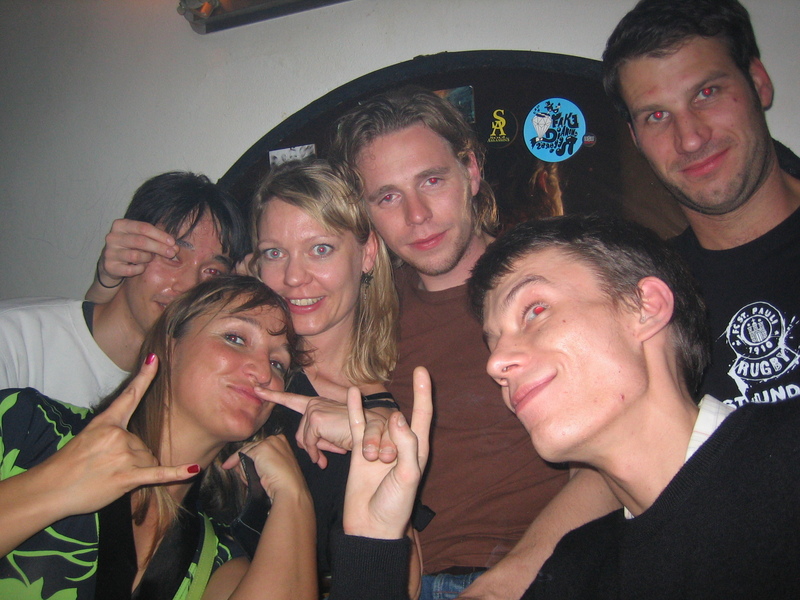 We are at Collins’ and Colston’s birthday bash in Vega, Copenhagen 2007. The hugely complicated origami bird is followed by a true and rare classic, by the one like 2000F. The F! For Frederiksperkers everywhere! And here it is again, oh my! At the Ohoi! 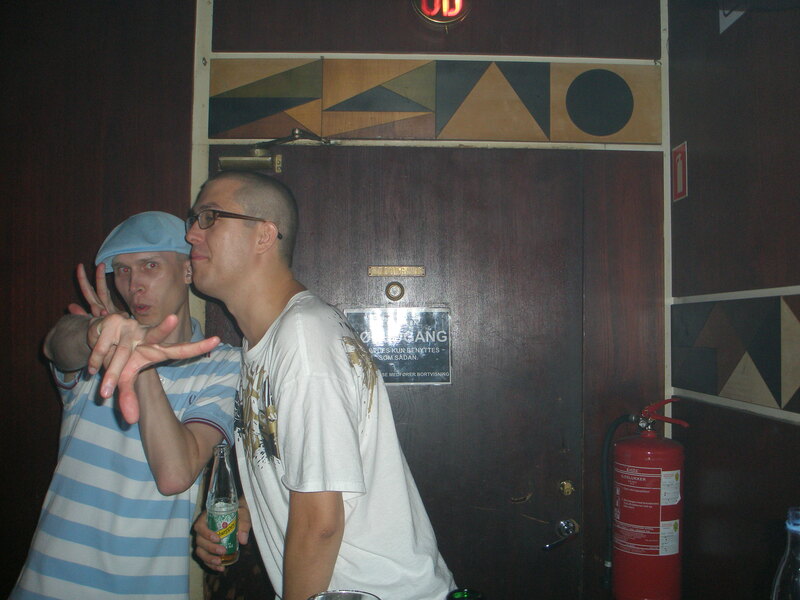 party at Basement, June 4th 2004. Pic courtesy of Vitus! 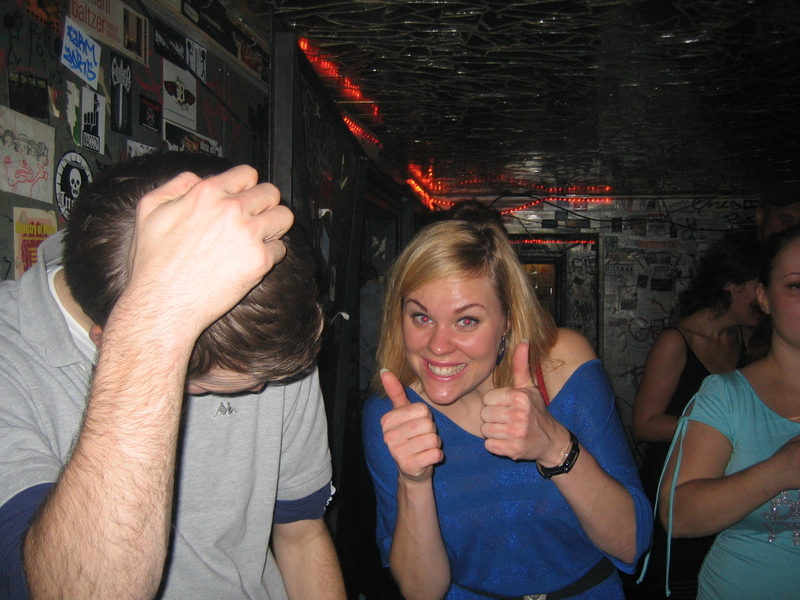 Donna shows her intense appreciation with a heartfelt two thumbs up on the dancefloor. The basement at the Kraken party at Stengade, Oct. 2007. Tim Driver is playing jungle. 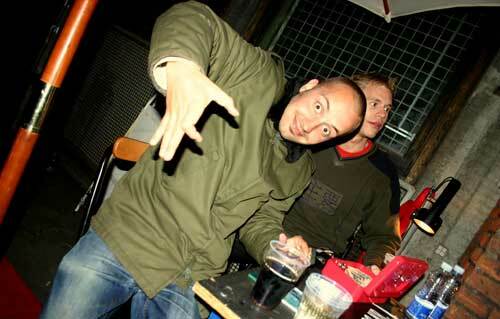 Nico DeFrost showing some hand signs skills behind the decks. Party at Christiania, September 2007. 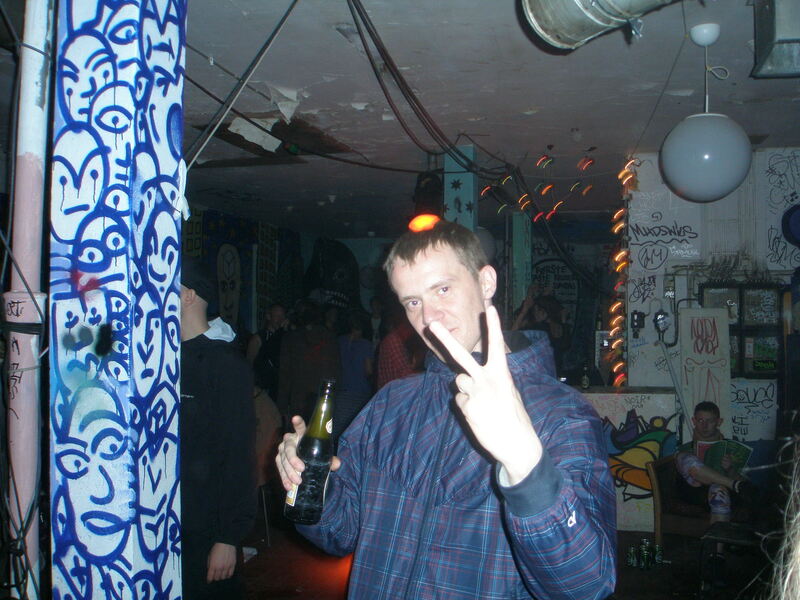 Here, I am using a live version of the Citadel handsign for “excellent”. Only one hand sign was above this in the Citadel Magazine world: “citadelsk”, with the form of a C. Lots of Citadel Magazine people packed in this photo! Good times! From Chriszka’s Birthday Bash at Nadsat. This is probably my best mobile shot of the entire year of 2008. Lots of interesting hand signs here. DJ Hype to the right throwing a classic. JKamata lifts this pic to unbelievable heights. We are, of course, at Stengade, Copenhagen. 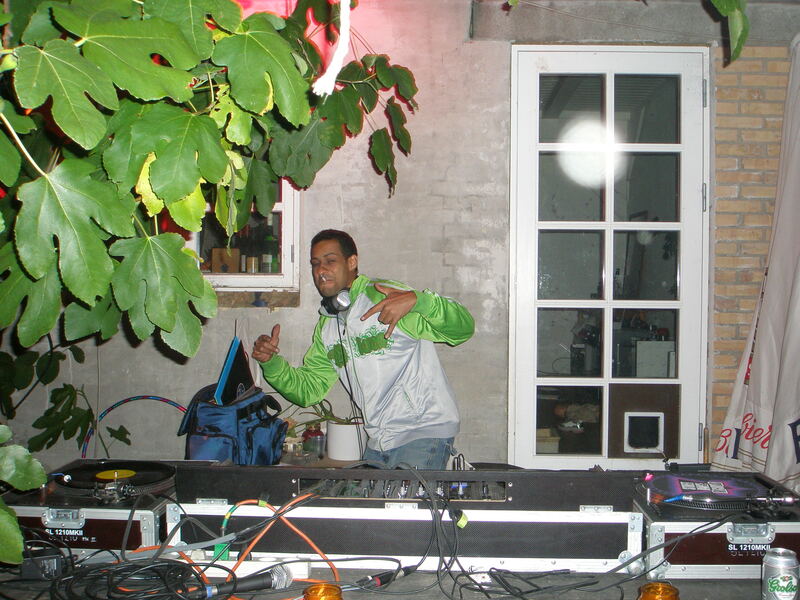 Another classic, thrown by the one like Dj Breakfast at Bolsjefabrikken, Copenhagen, June 2009. Lots of hand signs going on here! 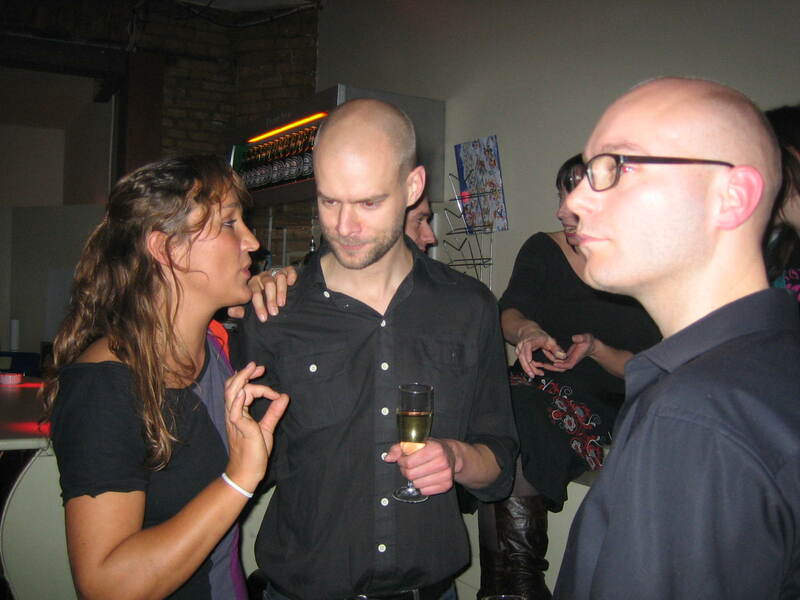 Backstage at the Kraken party, Stengade, October 2007. Here’s another complicated one, casually thrown by the one like Sulu, looking all relaxed, indicating that he might have reached lvl. 80 of the Hand Sign Throwing skill tree but doesn’t wanna brag about it as such. Photo courtesy of Vitus. This is the I Love My Birthday Cake Hand Sign! From the year 2000, people! 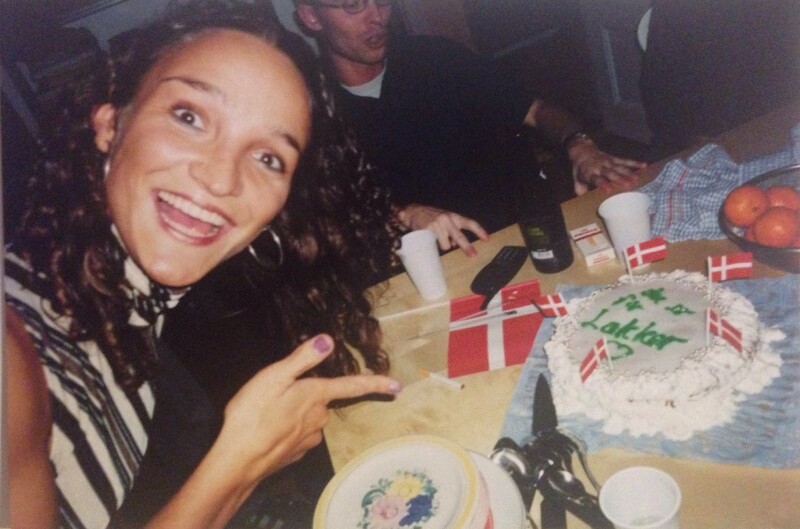 Cake by the one like Svingsen! In the background, behind the cake, dj Nis is using his well-known ‘I am going to win this discussion and I am not giving up, ever’ hand signs, using the table as extra support. Bonus info: I think this was my first surprise birthday party ever, actually. Afterwards we went to Plasma at Amager Bio. Does anyone remember what that was? A trance party? A jungle of hand signs! A cosy warm-up for DNBZone, June 2008. And that. right there in the middle, is Pyro smiling, Naajaraq! I am throwing a ‘junglists can survive anything’ hand sign (or something) here, and Tim Driver totally agrees. 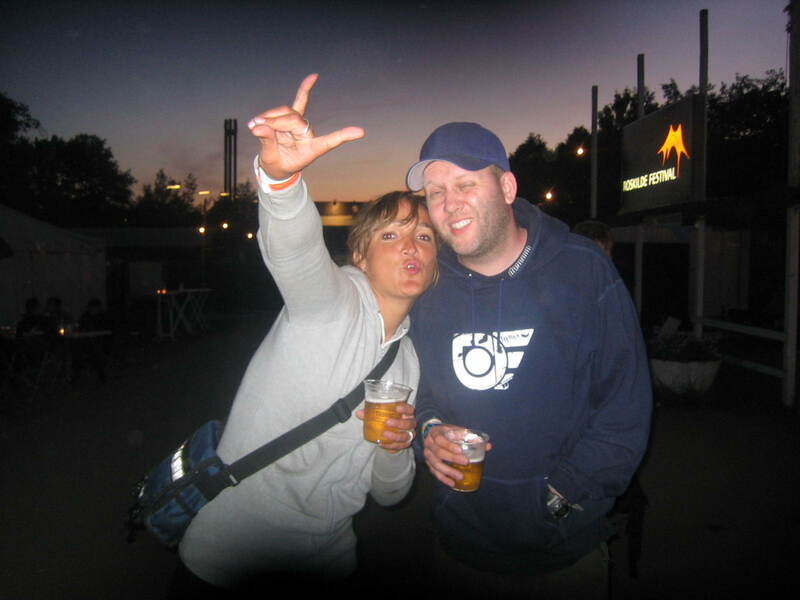 Late at night at Roskilde Festival, 2006. 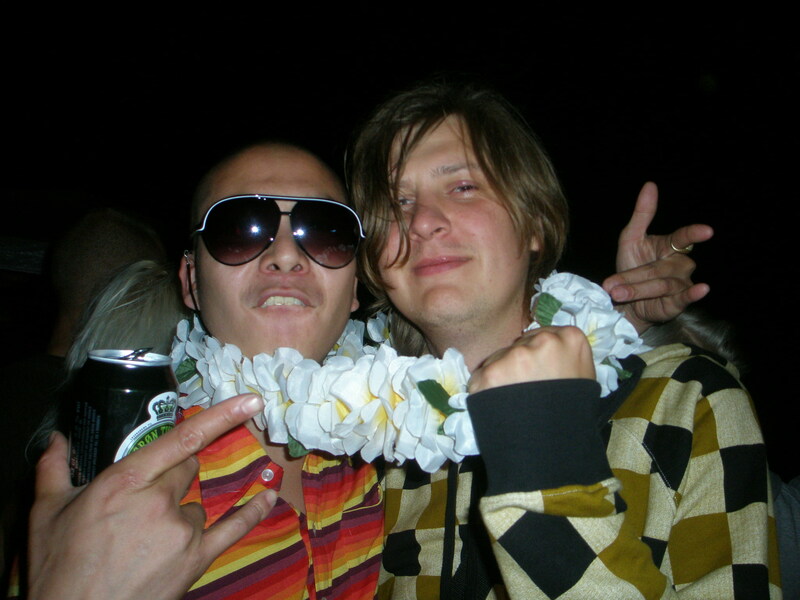 And to round this up in style: Philip & Kristobal going all in on the summer vibe at an outdoor party on Christiania, July 2008. Big hand sign of appreciation! I love the memories you are sharing in the Share Your Best Memory Lottery in yesterday’s post, people! Love them! Keep’em coming, I sooooo feel your enthusiasm! If you want to join in, jump to yesterday’s post (Blasts from the Past: Ohoi! turns 6) and leave your own favourite Ohoi! moment in the comments. The Best Memory Lottery Winner gets two free entrance spots for Ohoi!’s JuleBass at Stengade on Saturday. I am also very happy that this 24 Day JungLE Calendar was called “probably the world’s best calendar!! ever!! in the history of mankind! !” somewhere on the internet last night. Haha. 🙂 I LOVE the absolutes of that sentence. It’s very junglistic! For more jungle memories, check out my own super-youngster diary entries in The Jungle Diaries: A Junglist on a Mission. Early days, personal stuff. Did you miss one of the posts in the JUngLE Calendar? You can find every post of the past 10 days right here: JUngLE-kalenderen.